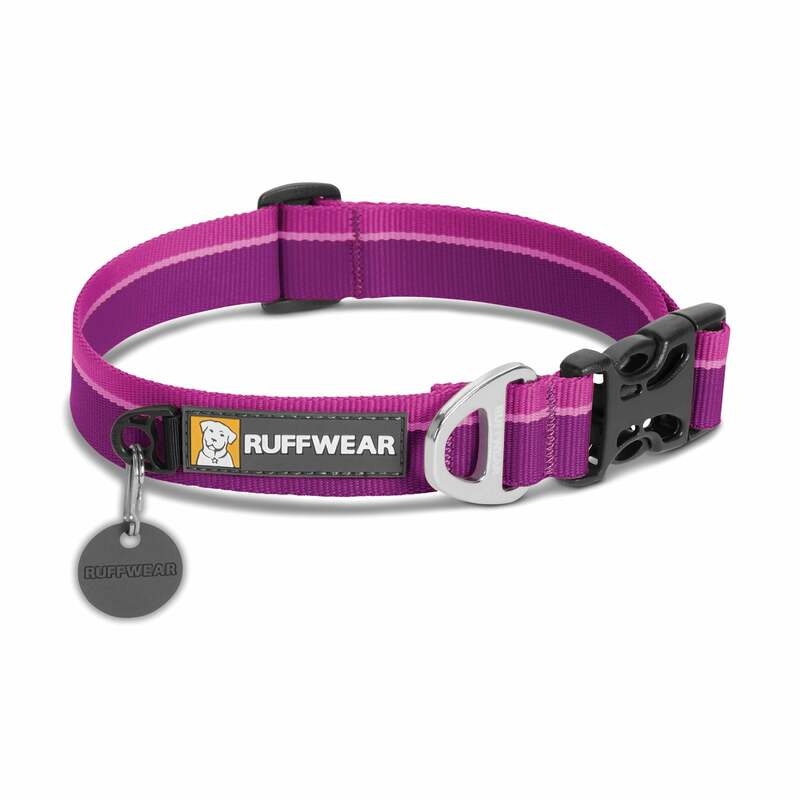 The Ruffwear Hoopie Collar is a soft, durable webbing dog collar, great for everyday use. This practical collar features an easy-to-use side release buckle, a separate dog tag attachment point with a silicone tag silencer and a strong yet light aluminum V-attachment to secure your lead. Available in three adjustable sizes to fit most dogs.